The GeoGebra 4.2 Release Candidate is now available. The release notes can be found here. To familiarize yourself with the new environment, please read the GeoGebra Sneak Peek Series. You may also want to check out Balazs Koren’s excellent post about version 4.2’s new features at the Official GeoGebra Blog. This is the fifth and final part of the GeoGebra 4.2 Sneak Peek Series. In this post, I am going to list miscellany of significant improvements in GeoGebra 4.2. The Delete tool can now be used like an electronic whiteboard eraser tool. To delete objects, just click the Delete tool and drag across the objects you want to delete. It is now possible to translate an object by dragging using the Translate by Vector tool. No need to construct the Vector tool! The objects in the Algebra view can now be sorted based on Construction Order and Layer. This arrangement is in addition to the previous sort categories which are by Dependency and Object Type. The new Freehand tool allows drawing and converts it to an exact shape. 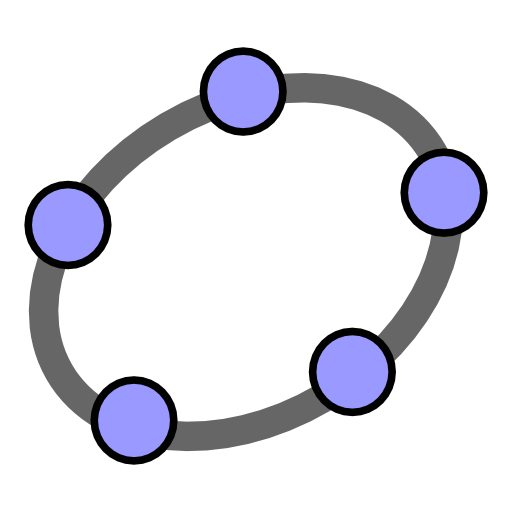 For example, you can sketch a circle, and after than, GeoGebra will automatically draw a circle based on your sketch. Integration of colored commands in Latex. It is now possible to use colors in Latex commands such \green. Ninety three new commands mostly on Statistics. A share button in the Manage Tools menu. This will enable users to share created customized buttons. Letters without spaces now works. Before, to multiply a and b, we have to type * in between. Now, we can just type ab. More supported languages.. For my Filipino readers, yes Filipino will be included and I am one of the translators. Countif command. Well, this is a personal choice. I’ve been waiting for this command since the integration of spreadsheet. This concludes the GeoGebra 4.2 Sneak Peek Series. If you want to read the details about the new version, you can read the GeoGebra 4.2 Release notes. The GeoGebra for the iPad project is a new project for the development of a GeoGebra App for iPads. The project needs funding, so you may want to back GeoGebra’s Kickstarter Project. Congratulations to the new GeoGebra Ambassadors: Sanjay Gulati (India), Steve Phelps (USA) of the GeoGebra Institute of Ohio, John Golden (USA), and Juan Pablo Echaverria (Costa Rica). GeoGebra 4.2 is nearly finished. The development team is just making finishing touches. You may try the webstart version of the release candidate here and the offline installers here. GeoGebraTube has now more than 14,000 applets that can be downloaded for and used for free. You may also want to follow GeoGebra’s official blog to keep up to date to the latest tips, tricks, and news.